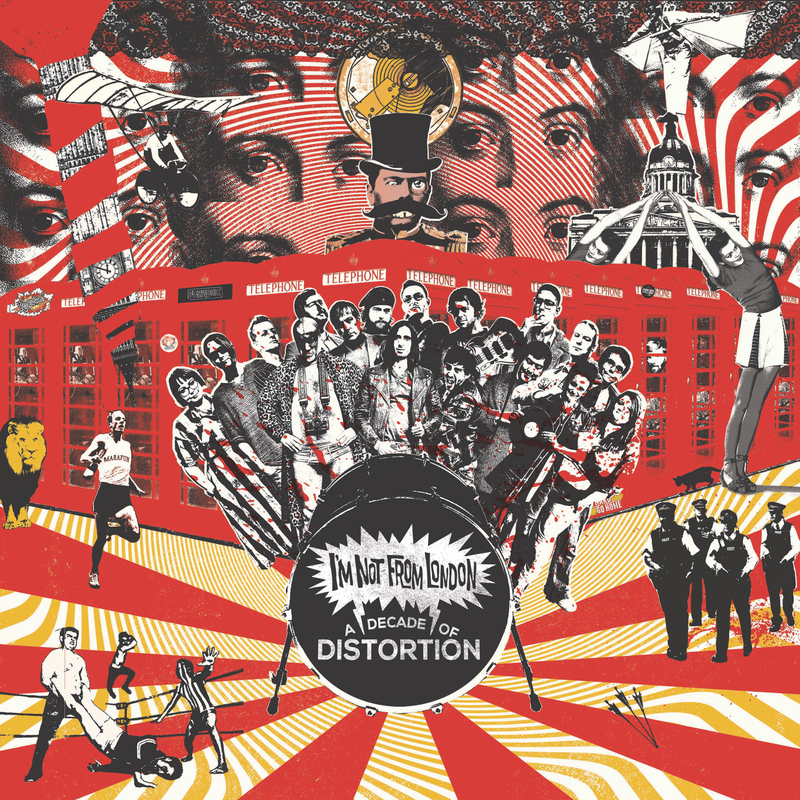 I’m Not From London Records presents “A Decade Of Distortion” – a limited edition double-vinyl compilation celebrating over a decade of music and mayhem. The compilation includes 23 of INFL’s favourite artists; just a small selection of the vast pool of talent this thriving DIY operation have supported and collaborated with throughout their journey and development as a promoter, record label and music publisher. Available only on heavyweight 180gm 12” vinyl, with music is split between two records (heavy rock – BLACK) and (pop, electronic & acoustic – RED). A Decade Of Distortion features an array of outstanding artists including Heck, Kagoule, Bru-C and Francobollo with a tracklisting curated to celebrate the diverse music programmed throughout the history of I’m Not From London.